Your own rooftop sport court with a bird’s-eye view of Los Angeles may seem like a dream. 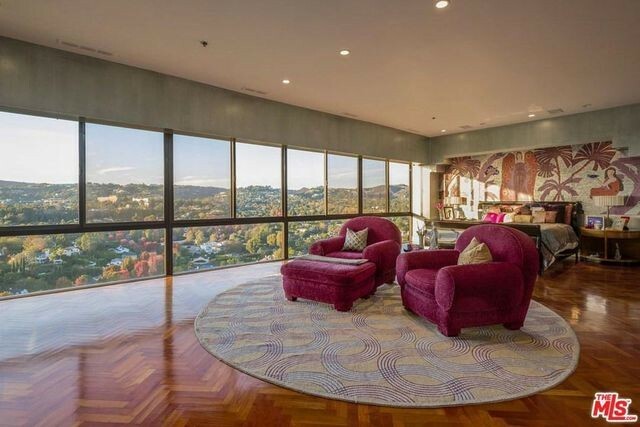 But if you snap up this 6,000-square-foot penthouse on Wilshire Boulevard for $10.5 million, it would be your new reality. 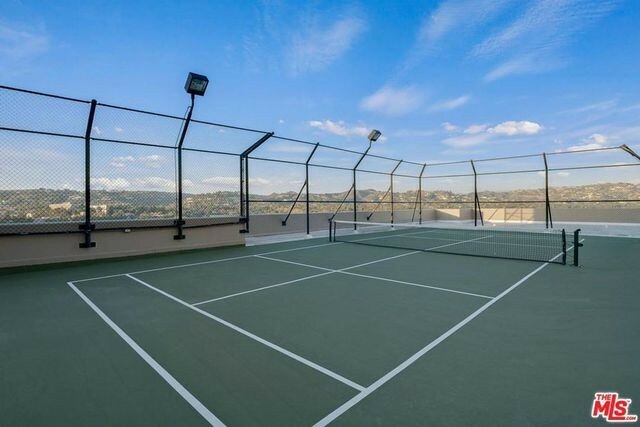 On the private rooftop is a sport court for impromptu games of paddle tennis. It’s equipped with lights should you want to organize a midnight match. 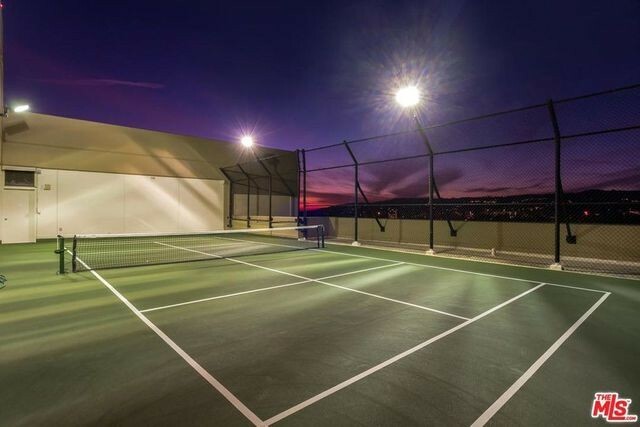 “The current owner purchased the condo with the sports court but updated it to a fully functioning paddle tennis court and added the gym with full bath,” says listing agent Sally Forster Jones. So a fitness-inclined buyer never needs to leave home for a workout? Dreamy indeed! 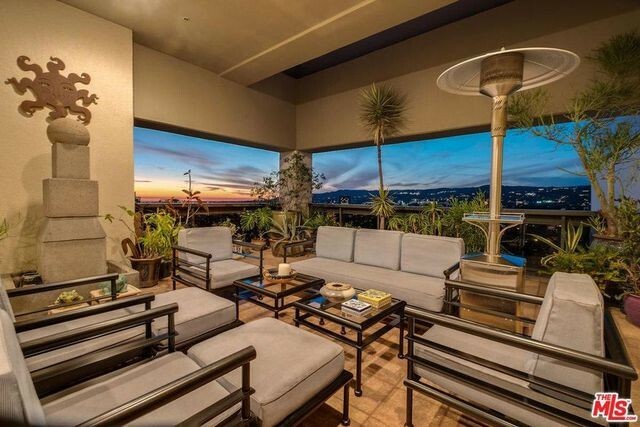 Sitting atop The Grand in Westwood, the penthouse unit features four bedrooms and 6.5 baths. Views of the glittering L.A. skyline can be seen from nearly every room thanks to the open layout. The sellers, who purchased the unit in 2002, “were the first to live there when the building was updated to condos,” says Forster Jones. 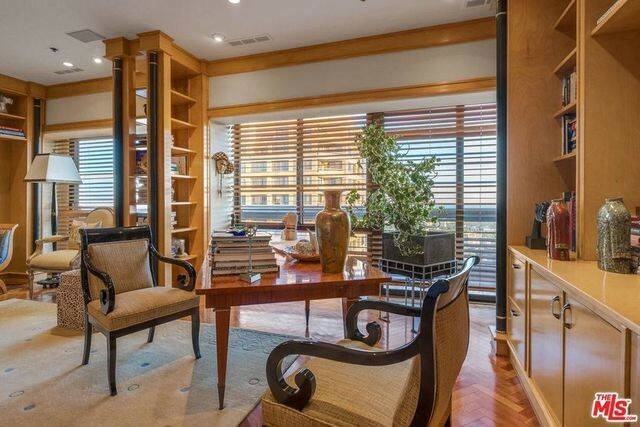 Away from the court, just beyond the sliding glass doors, there are plenty more entertaining options, namely the covered decks outfitted with chaise lounges and heat lamps. The space is ideal for hosting a fabulous party or for a large family to spread out. Custom cabinetry and stainless-steel appliances in the kitchen also make this an ideal retreat for entertaining. Built-ins featured in at least two of the rooms provide space for books, decorative arts, or other collectibles—or maybe a home office. A fireplace in the living room keeps things cozy. 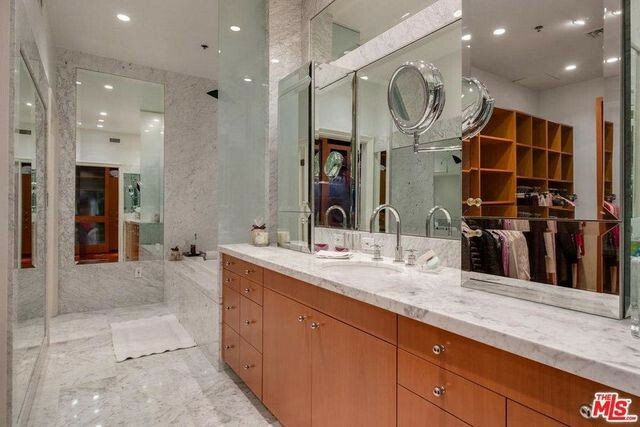 Despite being a condo, this pad feels like a single-family residence due to not only the open layout but also the nooks carved out in each room, whether it’s a wet bar off the living room or an extensive closet-organizing system connected to one of the baths. The living room’s recessed, soffit lighting also casts a soft glow come evening, which, when paired with the sunset views, makes this appear like a jewel box in the sky. 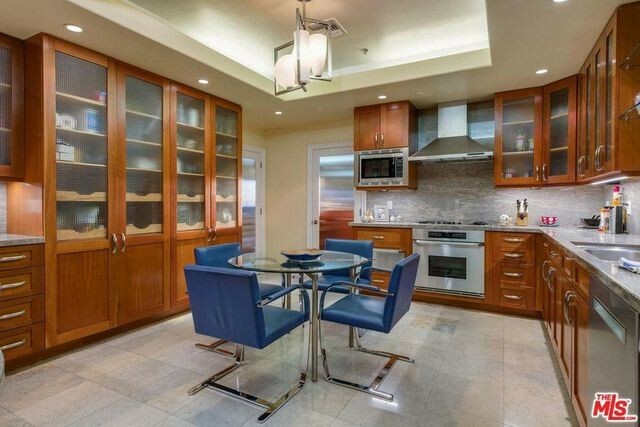 The Westwood neighborhood—particularly the Wilshire Corridor, where this condo is—is dotted with luxury high-rises. 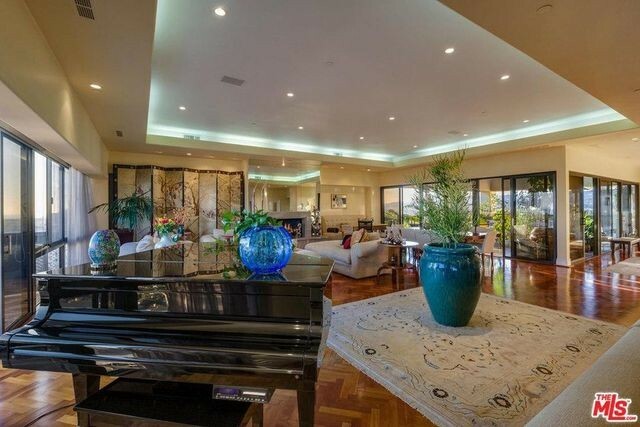 The late Natalie Cole‘s condo in this very same building sold for $2.5 million in 2017, according to the Los Angeles Times. It’s also near UCLA, and pedestrian-friendly Westwood Village is a mile away. This building offers 24/7 concierge service, valet service, pool, spa, gym, and community areas. While it’s possible that an avid tennis player might scoop up this penthouse, so could a second-home owner drawn to hotel-like living, says Forster Jones. “Its hotel-like amenities afford a hassle-free lifestyle allowing residents to come and go as they please without the issues that may come from owning a single-family residence, such as landscaping,” she adds. Advantage, buyer!